This is the perfect solution for your home if you happen to be short on space. This closet has a mezzanine floor that doubles up as a bed and it has neat niches for everything below—including a tiny built in room! 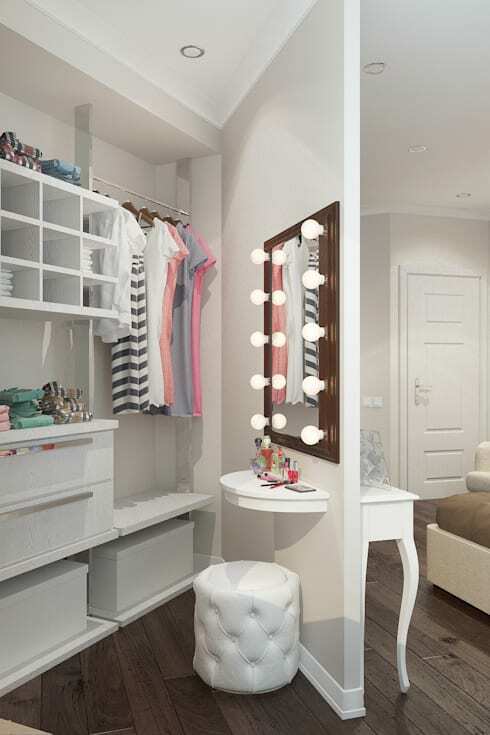 Here's another great read on dressing rooms for small spaces! Solid wooden cabinetry never goes out of style. You can turn one wall into storage with neat compartments for all kinds of essentials. 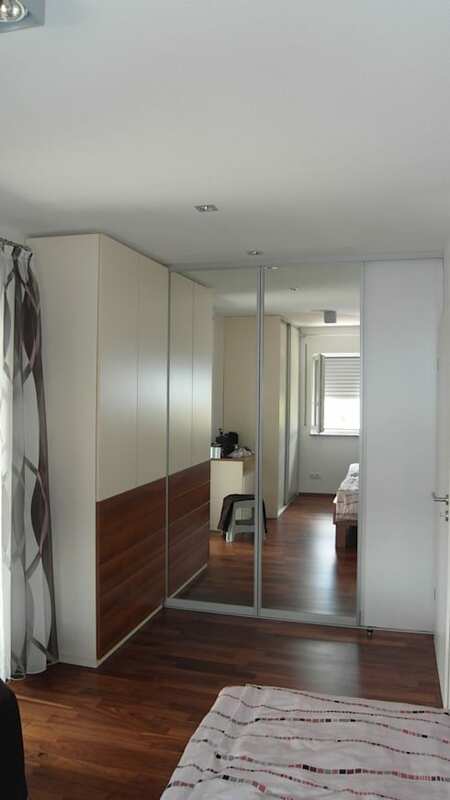 These can be open faced or with sliding doors. A closet in the bathroom is a pretty amazing idea. 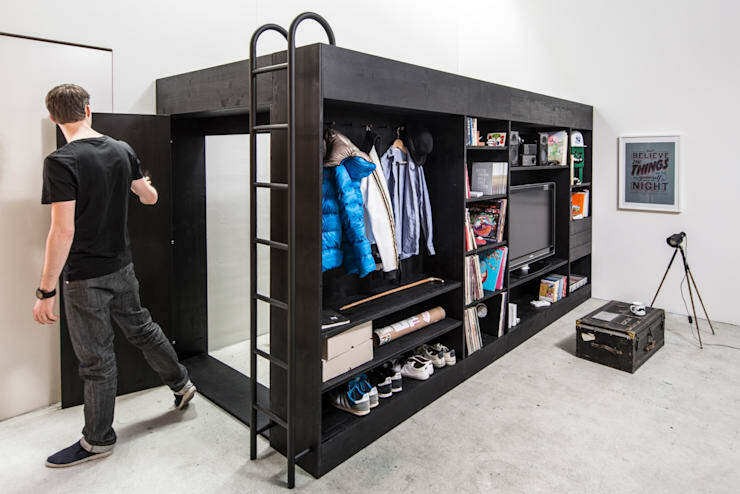 Imagine being able to get dressed and ready to go within one compact space—that's the charm of this storage solution! Divide the clutter and rule the style stakes with this nifty curtain-divided storage space. 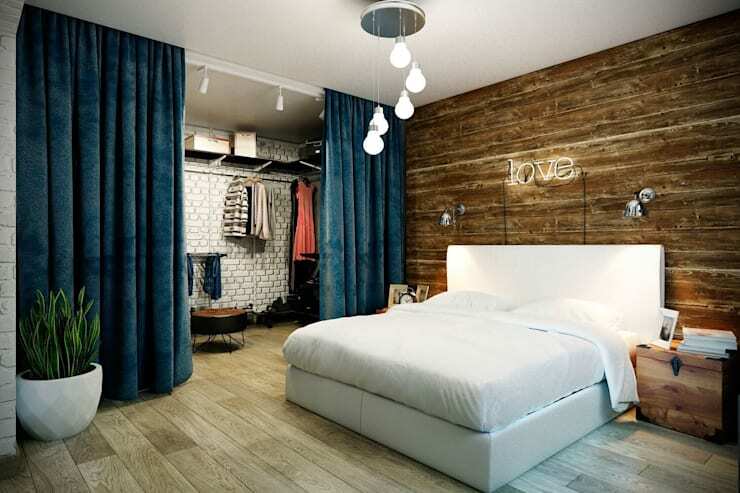 You can convert one section of even a small bedroom into a closet with the use of curtains. 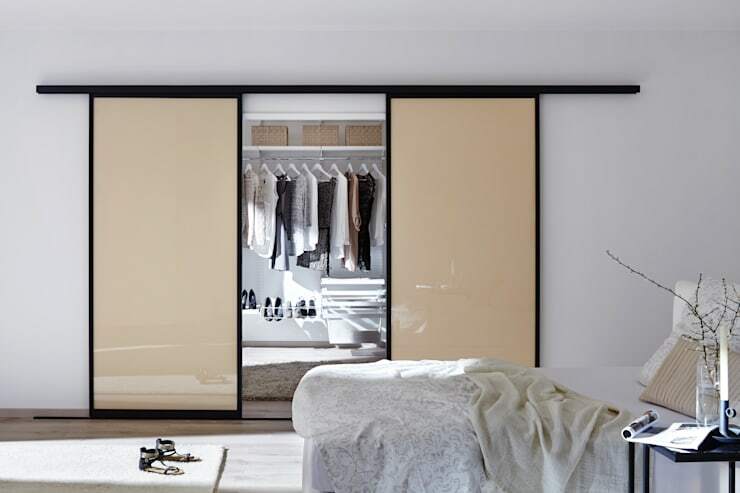 Keep your compact space looking wide and airy with these glass doors for your closets. You can actually make quite a vibrant display if you colour coordinate and arrange your essentials in this closet! 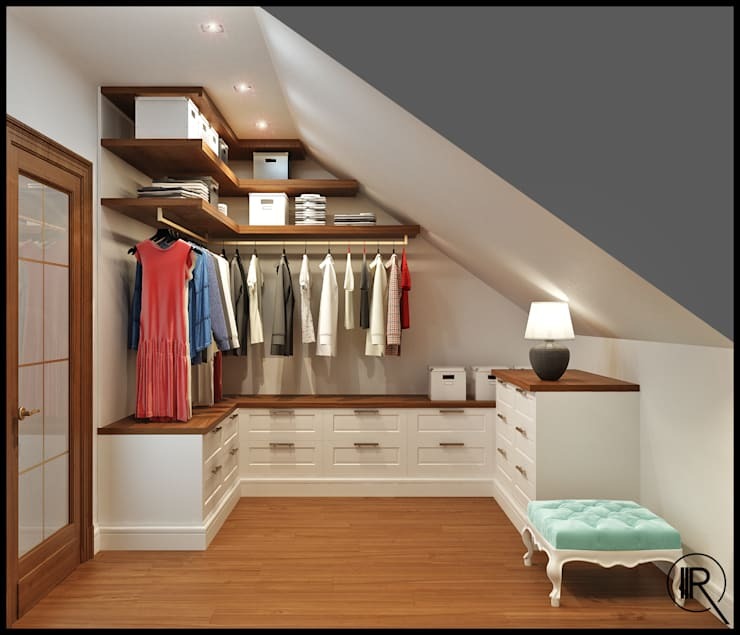 Make superb use of even a sliver of space—behind your bedroom, in an attic or below a staircase. You can add solid wooden shelves and create cubbies for all your belongings. Layer with lighting and leave the rest of the space white for that luxurious look. This geometric-looking perch makes an interesting thoroughfare underneath, with much scope to store extra things. You can turn one side into a mirrored shelf-bearing wall which becomes your dresser, too. It's essential to get airtight doors like the sliding ones that come to a neat and firm stop. This will ensure that the space is well protected from moisture and mould. Ensure that there is a designated space for everything in your wardrobe. Make an island down the centre so that you can also sort through your belongings without making a mess. You can resort to open shelves to make a statement of sorts. Leave them without ends and suspend them on brackets for a neat and trendy look. The mirror is an essential dressing area staple. So remember to leave ample space for positioning one. You can install a wall of mirrors or keep one in the corner. Let your belongings do the talking! Keep the surroundings light hued with a bold accent nearby. Every person has different style needs, and it only makes sense to build your closet according to them. 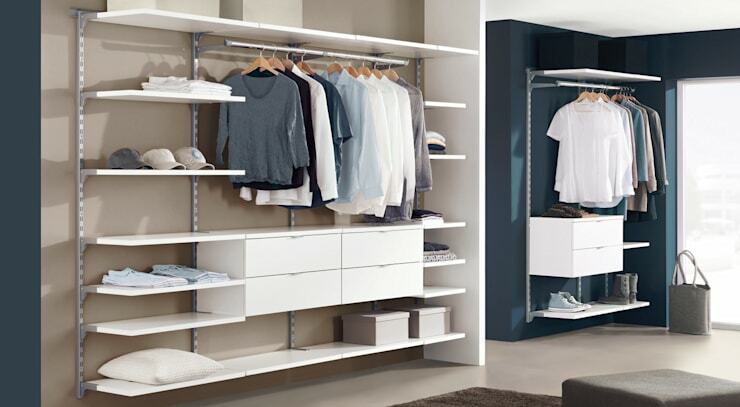 By using a combination of closet components, you can build a user-friendly wardrobe that makes life much more comfortable. Think of jewellery holders as well as drawers, bureaus and even rods to hold your various essentials. Don’t forget to decorate your closet with proper mirrors and lights, which makes dressing up fun. So, no more excuses! 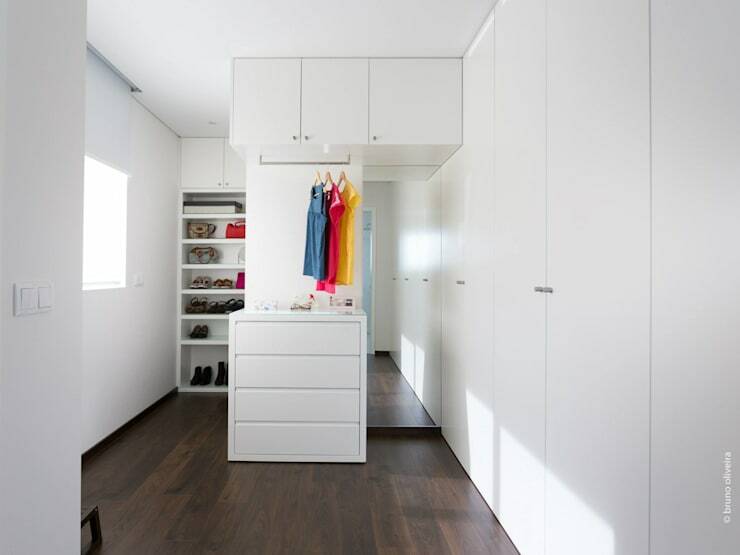 Whether you live in a small apartment or large house, whether you want a walk-in closet or a reach-in wardrobe, there are plenty of ideas here to build a great closet. 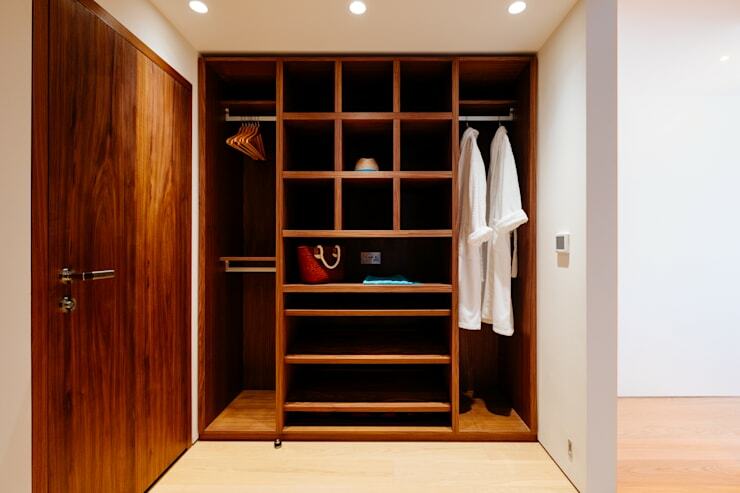 If you're looking for more ideas for smaller spaces, here's another great read: Dressing rooms for small spaces! 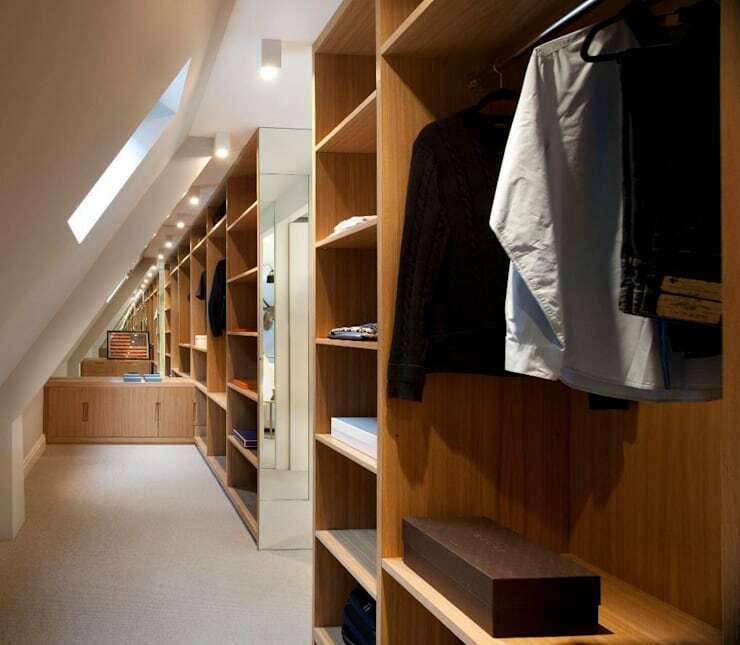 Will you be trying any of these cool closet ideas?